I think it’s safe to say our Florida “winter” is showing face. 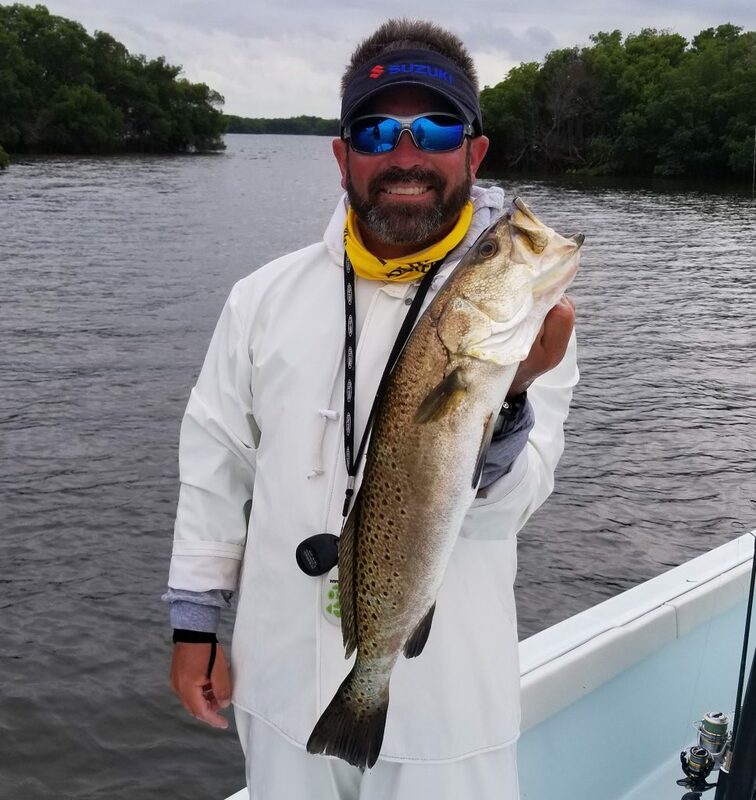 Over the last few weeks, we have been fishing in winter winds bringing colder water temperatures to Tampa Bay. There have been several days where catching live bait has been a struggle but we have managed to still keep a live well full for our customers. From now until them break of Spring, my mornings will start with the treacherous bait run into the depths of the bay only to return to the wind-protected back country haunts for fishing. 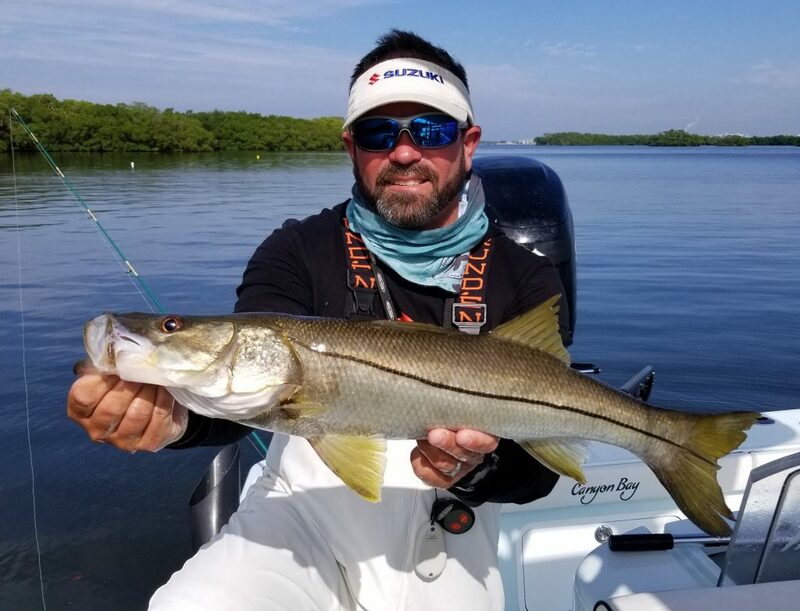 Snook, Redfish, and Trout are plentiful in these areas and depending on weather and tide conditions can provide some incredible fishing.While most anglers hang it up through the colder months, we fish year-round and follow the patterns of our resident game fish. Out of the big 3, Snook can be the most temperamental. As a sub-tropical species, they are extremely sensitive to the colder water temperatures and in some cases can be life threatening for them. Luckily, our major aggregations have adapted to our estuary and find reprieve in our rivers, residential canals, mud bottom creeks, oyster bars, and power plants. Live bait will be the bait of choice, but as we push through to the new year, expect to have days where shrimp will be the only option. For me, the larger shrimp will produce more fish and I like to free-line them in current or add a small split shot to keep them on the bottom on colder days or slack tides. 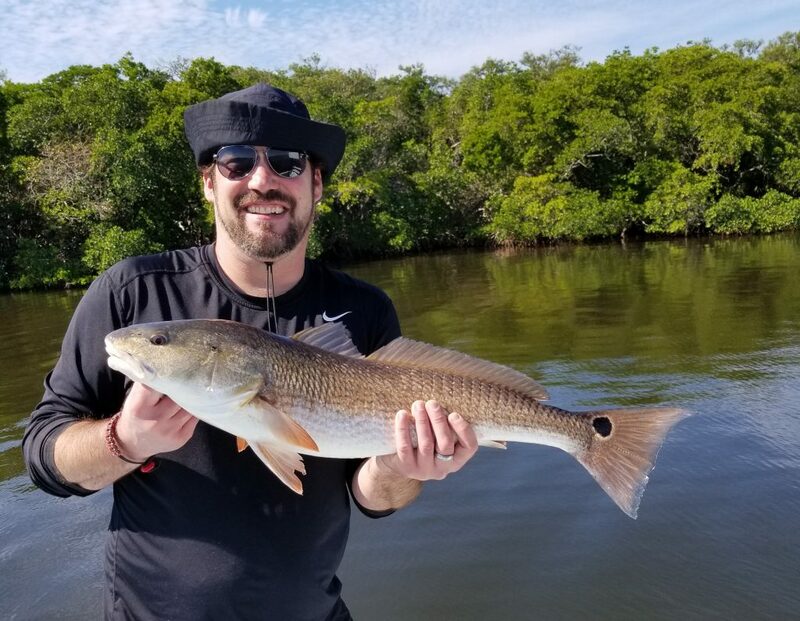 Redfish are still going strong in Tampa Bay. We have been on some smaller schools of bull reds throughout the bay but expect them to thin out coming off the November full moon. As we begin to focus our efforts deeper into the estuary, juvenile fish (18-25”) are showing up under residential docks and oyster bars. The negative low tides help congregate the fish into ponds and deep-water pockets moving through winter. On the higher tides focus on deep mangrove shorelines or rocky edges. As bait disappears from the shallows, Redfish will rely on their crustacean flavor pallet to keep up the calorie count. Last but not least, the bigger Trout have finally started to show up. Just this week we boated several fish over 20” and topped it off with a healthy 24” gator that was safely released. Right now, the bigger trout are eating the bigger baits. A 5-6” live pilchard is the bait of choice and my preferred method is free-line. Although these fish can be caught in several areas throughout our region, oyster bars seem to be where I find the most. If you are looking for numbers, focus on the deeper bends in any of our major rivers or the deep basins within residential canals. Fishing in winter winds presents both challenges and opportunities. 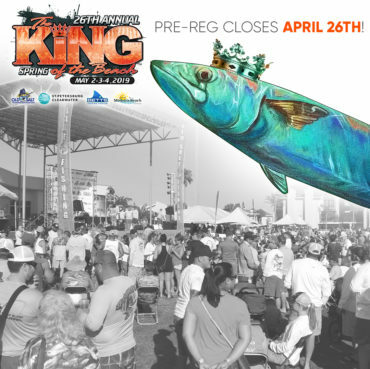 Good luck and tight lines.